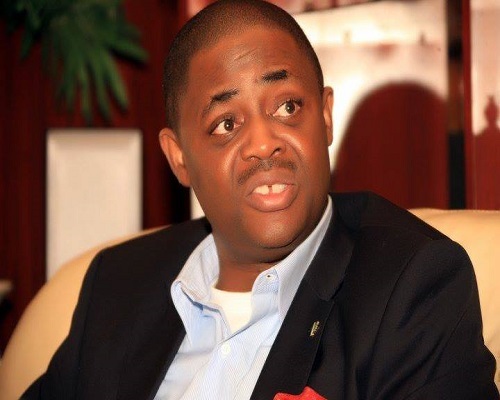 Former Aviation Minister and a chieftain of the Peoples Democratic Party (PDP), Femi Fani-Kayode yesterday replied the embattled and factional Chairman of the party, Ali Modu Sheriff, saying the former Borno state governor is a curse to PDP. President Muhammadu Buhari is also using him now to destroy PDP. 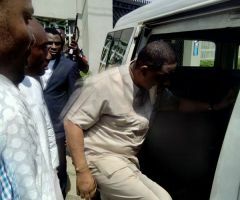 Sheriff had on Sunday night in an interview with Channels Television revealed that, but for former President Goodluck Jonathan and 20 others, who came to beg him, he would have taken Fani-Kayode to court for calling him a Boko Haram. Recalled that when Sheriff took over the leadership of the party, so many party members voiced out their disagreement, even the former Aviation Minister had made some comments, describing Sheriff as Boko Haram, this had led to the former Borno state governor threatening to go to court. But, Fani-Kayode, in a statement he personally signed on Monday, reacted to Sheriff's interview, saying that the former Borno state governor lied. He said: "Lying Ali Modu Sheriff told Channels TV last night that I sent people to beg him for claiming that he was Boko Haram. These are the lies of a desperate and drowning man." Fani-Kayode pointed out that the Sheriff's mission in PDP was to destroy the party, just the way he did to other political parties he had a stint. "He came to destroy the PDP and if we did not rise up against him and kick him out when we did he would have succeeded in his mission. I am proud to have been the first to see him for what he is and to publicly blow the whistle on him. 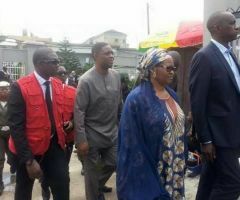 "I was one of those that led the rebellion against him and orchestrated the campaign to push him out and dump him as the National Chairman of our party and many have thanked me for that including some of those that brought him in the first place and attempted to impose him on us. "The man is of the devil and no-one should believe a word that comes out of his mouth or take him seriously. He is a curse to the PDP and the sooner he is kicked out of the party the better it is for us all," he said. On the issue of changing political parties, Fani-Kayode said, "lying Ali Modu Sheriff has changed political parties no less than four times in the last few years. "Each time he goes to a new party that is not in power at the center he assumes the role of a government mole and spy and tries to destroy it from within on behalf of the government of the day. "That is his modus operandi. On return he gets protection from the state for all the many atrocities he has committed over the years. He has betrayed everyone and every political party he has ever worked with or for. "Go and ask around. We used him to spy on and destroy the APP when Obasanjo was in power and now Buhari is using him to destroy the PDP. Luckily he has failed because 99 per cent of PDP members have rejected him and now he is on his own." 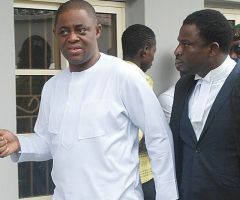 Fani-Kayode insisted that he is more consistent in his views, adding that Sheriff does not have the courage to be loyal to any cause, any person or any political party. He said: "He comes into another mans house or political party and tries to pull it down by deceit and guile. He is a vessel of destruction. "That is the man who some misguided people believe can be trusted. He was in APP, then ANPP, then APC and now he is in PDP all in a matter of a few years and everywhere he goes he fights everyone until they get tired of him and push him out. "If anyone wants to talk about "changing goal posts" it should certainly not be him."